If a fireplace is already present in the home, but you are seeking to either improve its condition or put on a new twist, think about whether it should be enlarged or remain the same size. This can be judged by surveying the size and structure of the room it is in and how much heat will be released into that area. According to the U.S. Department of Agriculture, a fireplace that is 30-36 inches wide works well for a room that possesses 300 square feet of floor space. Naturally, local zoning rules, building codes and what way the wind blows also factor in to where a fireplace is located and how high the chimney will be. What Will The Fireplace Be Made of and How? What your fireplace will be produced from is also an important decision, as some materials send more heat outside rather than to the inside of your room. 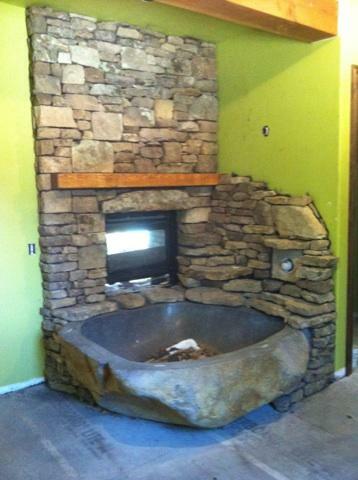 Also, you want your fireplace to accent the style and décor of your home. Fortunately, masonry can incorporate very original looks with brick, stone, stucco, veneer, rock, tile and concrete. 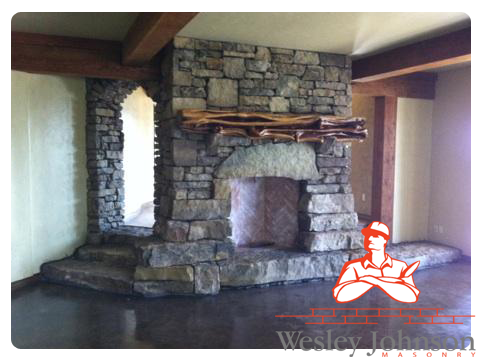 Wesley Johnson Masonry incorporates brick, stone and block into their Custom Fireplace designs.